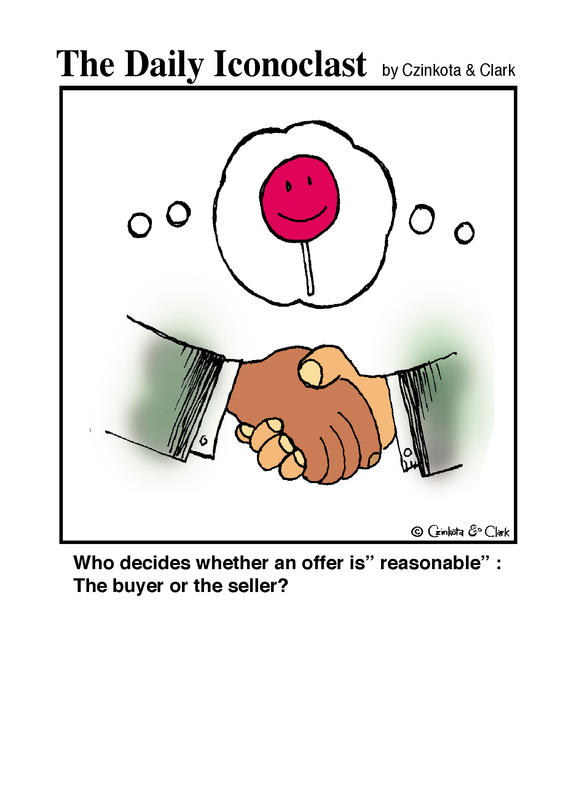 This entry was posted in Humor & Satire and tagged buyer, friday, fun, international business, international daily iconoclast, negotiation, resonable, seller, thought-provoking by Michael Czinkota. Bookmark the permalink. posts, however this website gives feature based writing. What’s up to all, the contents existing at this web page are really awesome for people knowledge, well, keep up the good work fellows. Excellent site. Plenty of helpful information here. I’m sending it to some buddies ans additionally sharing in delicious. And of course, thank you on your sweat!